This sweeping and imaginative tale of political intrigue, secret passion and implacable revenge is a breathtaking epic from a remarkable Australian literary talent. Set in 16th century Scotland, The Raven's Heart is a riveting tale of intrigue, obsession, and the fight for power. It is very much a tale about two women, Alison Blackadder and Mary Stuart, Queen of Scots. They meet at Blackadder castle, an ancient fortress that rests on the shores of Blackadder Water in Berwickshire. A rumour about the castle states that when the first Blackadder swore a blood oath and sprinkled his blood into the water, men have been driven by madness in order to own it. 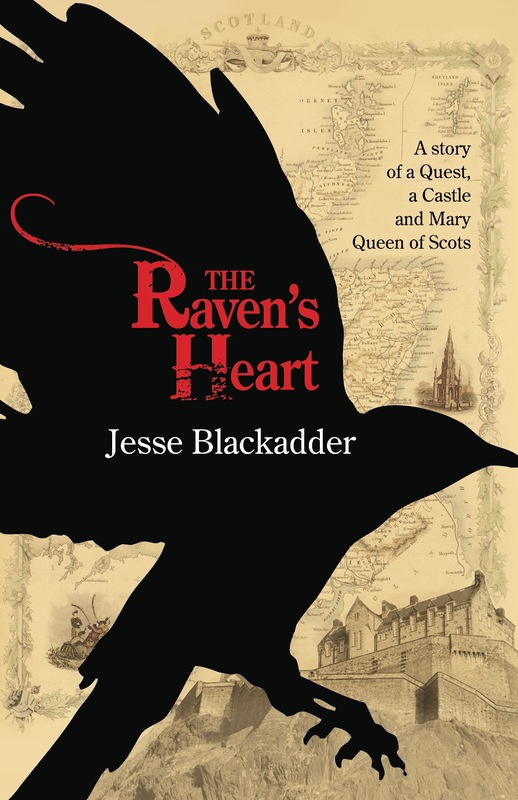 Alison Blackadder’s father, William, is obsessed with taking back Blackadder Castle after usurpers stole it. Assasins have been trying to kill both Alison and her father in order to keep them from claiming the castle. As a result, Alison has spent her life dressed as a boy to send the killers off their track. When Mary Stuart was secretly returned to Scotland, Alison and her father were part of the party escorting her home. At her father’s urging, however, Alison is turned back into a girl in order to become one of the Queen’s ladys-in-waiting. But when Mary discovers Alison’s dual role as boy and girl, she tasks her with teaching her and her other ladies to secretly pass themselves off as men to gain freedom from the court’s restrictions and to preserve their identities. This novel is filled with life and death risks, treachery, and profound love. Because of her surname, Blackadder, author Jesse Blackadder was always being asked if she was related to Rowan Atkinson, star of the BBC sitcom Blackadder. Her curiosity roused, she travelled to Scotland to Blackadder to find her roots. There, she discovered the ruins of Blackadder Castle. As she began to research, this story came to life in her imagination. The story gives us a unique look and interpretation into the era in which Mary, Queen of Scots lived and reined. Each character is well drawn, with a depth of personality that truly makes them believable. Couple that will colorful descriptions of clothing, surroundings, and castle life, and it does make for a fascinating read. A strong lesbian undercurrent runs through the novel, which may not appeal to all readers. Nevertheless, it is a compelling, well-told tale with plenty of plot twists and excellent dialogue to keep readers interested. Dying to get my hands on this one! Thanks for sharing. I just found your blog and already I am loving it, I can't wait to read this thank you so much for sharing this.